“Capital amount”of joint stock incorporation is an important factor when establishment. As for share price, JPY 50,000 per share is most popular. For example, if capital amount is JPY 8 million, total share numbers are 160. If you want to diminish each share price less than JPY 50,000, it is possible. especially when the company will get listed. But you can say it is premature to make ready for listing on the market when establishment. According to Japanese Business Law, capital amount can be set as JPY one(1) or more. In other words, you can freely set capital amount as you think appropriate. you have to set capital amount as JPY 5 million or more. For your knowledge, capitan amount in Japan does not necessarily shows that the company holds money equal to capital amount. This is because you can pay company expenditures out of capital amount after establishment. It is a common knowledge in Japan many small or medium-size companies have less money than capital amount. newly-company until it will reach the point to reap profits by itself. Each companies and businesses has different needs for expenditures after establishment. In the Japanese legal system, CERTIFIED COPY OF FAMILY REGISTER each local mayor issues are used to prove any individual facts including birth, death, names of his/her parents, marriage, and existence of children, names of his/her spouse and child, and in fact, such facts must be proven with the CERTIFIED COPY OF FAMILY REGISTER. Therefore, there is no need for more proceedings such as certificate by the court and attestation of a Notary Public in Japan and moreover, there is no possibility of obtaining those certificates. Article 887 The child of a decedent shall be an heir. (ii)	Siblings of the decedent. Article 890 The spouse of a decedent shall always be an heir. Article 907 (i) Joint heirs may at any time divide inherited property by agreement except in the case where this is prohibited by the decedent's will pursuant to the provision of the following Article. (ii) If agreement is not, or cannot be, settled between joint heirs regarding division of inherited property, each of the joint heirs may make an application to the family court for a division of the inherited property. Article 818 A child who has not attained the age of majority shall be subject to the parental authority of his/her parents. Parental authority shall be exercised jointly by married parents; provided that if either parent is incapable of exercising parental authority, the other parent shall do so. Note) The age of majority is 20 years old in Japan. Article 824 A person who exercises parental authority shall administer the property of the child and represent the child in any legal juristic act in respect of the child’s property. Article 827 A person who exercises parental authority shall exercise the right of administration of property with the same care he/she would exercise for him/herself. member of JETRO (Japan External Trade Organization) since April 1.
visas, taxes and human resource. Please freely contact us when you consider to start up subsidiary in Japan. 1. 1st Representative Director : Foreign candidate domicile in foreign country. This candidate will have all the power in business operation. 2. 2nd Representative Director : Foreign or Japanese candidate domicile in Japan. This candidate is placed to meet the demands of Japanese Business Law. 3. Shareholder (Owner) of the Company : Company or Individual domicile in foreign country. 4. Promoter : Company or Individual at least one of whom must have a bank account in Japan. 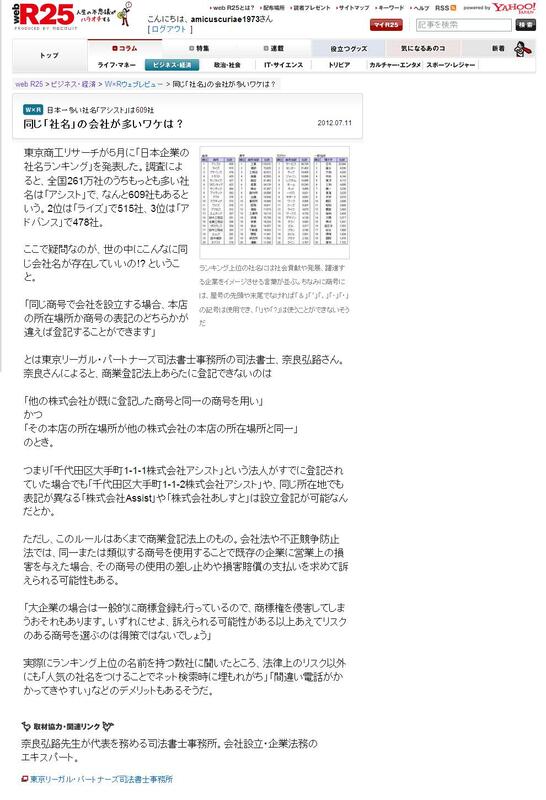 To-be shareholder should transfer all capital amount into Promoters' bank account in Japan. in both Japanese and English. We prepare the following documents for establishment which require the client’s signature and seal. Once the client signs and seals, please let us confirm it is rightly done as PDF before mailing. Please give it signatures and seals of Promoters on the two lines of the first page and place joint seals or joint signatures using the above same seal or signature on all pages before Notary Public. We need Promoters’s Proxy as a form of Signature Certificate affixed by Notary Public. Please give it signatures and seals of Promoters on the two lines of the second page and place joint seals or signatures using the above same seal or signature on all pages. Please give it seals or signatures of Directors on the two lines before Notary Public. We need Directors’Acceptance of Office as a form of Signature Certificate affixed by Notary Public. Please give it a seal of Representative Director with Japanese residence on the next to his/her name inside the underside box and one more seal on the margin. Please mail the above completed original documents to our office with the following original certificates. Once the client prepares them, please let us see as PDF before mailing to us. (3)The copies of 3 pages of Bank Account already transferred capital amount. Note : The above mentioned bank account must be one of Japanese Bank or Foreign Bank which has a subsidiary in Japan. Changing the Name of a Registered Comapany. the name of a registered company? Our professional fee is JPY 30,000.
a registered company and to a new name? both oral and writing, for foreign companies and citizens. so that we each other can avoid mistakes of detail information. they regard us as Lawyer in their mother country. separated into Solicitor and Barister. Shihoushosi can be parallel to Solicitor. Shihoushosi can be translated into Lawyer. Lending between foreign bank and Japanese corporation. interest rate and delay damage rate(ex. 14% of loan ammount by a year). bank transfer to the bank accont of the beneficiary. registration certificate and forward these certificates to the lender. reimbursment from the payment of public sale.
" Incorporation Certificate" and "Articles of Incorporation". forward them to the foreign client by email. of notarized Affidavit by email for our confirmation. for us to forward it to LAB with registration application letter. The period of establishment of K.K. is approximately 1 to 2 weeks. and information from the client. immediately begin to prepare the documents required for incorporation. and seals the documents and return to us. 4.Client to pay capital into its own bank account. with the Legal Affairs Bureau. the registration certificate and seal certificate. These documents wil be forwarded to the client.